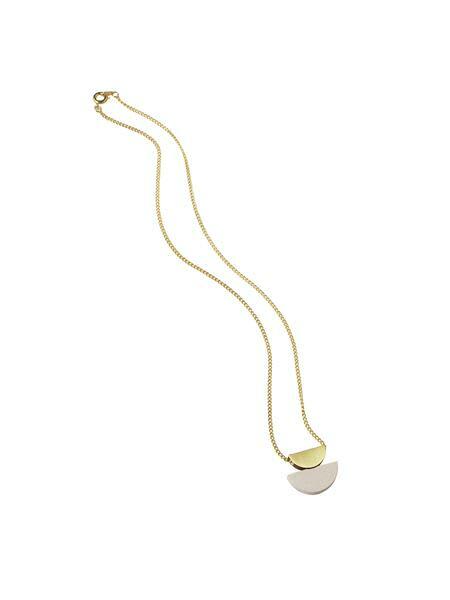 Contemporary geometric pendant necklace with semi-circle motif in handpainted wood and brushed brass. Available in three complementary colourways. Collection No.8 is a playful collection inspired by modernist and abstract artists of the 20th Century.